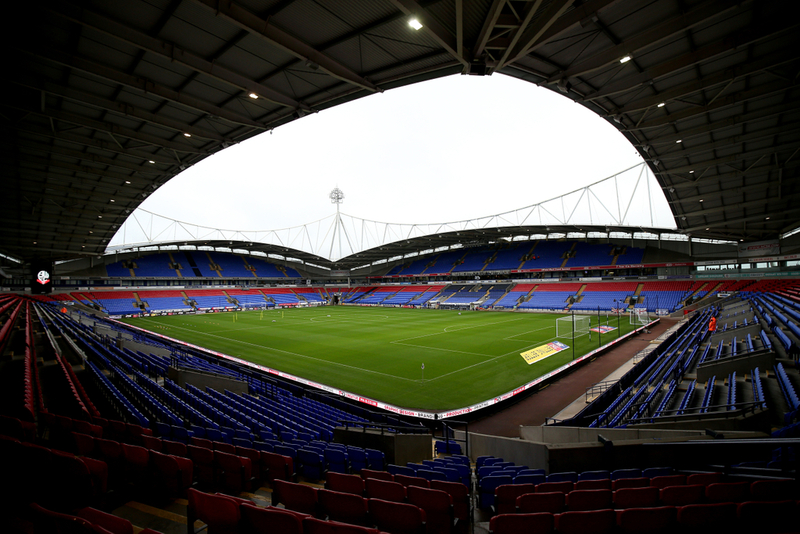 Bolton Wanderers' troubles continue to mount this week following the news that the club's forthcoming home fixtures against Ipswich and Middlesbrough could be cancelled due to safety concerns. The Trotters have been issued with an order preventing fans from entering the ground, with Bolton Council's Safety Advisory Group saying that it "was not prepared to put the public at risk". "We will work with the club and offer them any practical assistance that is available to us in an attempt to find a successful and timely resolution to the issue." Bolton have been given two weeks to settle mounting debts or risk going into administration. The club are due in court tomorrow to discuss a £1.2m unpaid tax bill and other debts, confirming that until after the court hearing, they would be unable to commit to meet the obligations of its safety certificate. Players are currently refusing to train after March's wages were not paid by the club, and will not return until payment has been received in full by all members of the squad and club staff. Wages were due to be paid last Friday, however it is understood that payment has still not been received. Bolton chairman Ken Anderson said in a statement on the club's website that the decision taken by players to go on strike is 'disappointing'. "Obviously, the players' decision to go on strike is very disappointing and once again, I would reiterate that in my three years at the club, the staff have only been paid late once and yesterday was only the second time. "Likewise, the players have also only been paid late three times. The reality is that they have always been paid. "We are not the only club to have paid players late and there are many precedents of this happening," he said. "Indeed, I was told yesterday that at least at one club, the players were buying their own food and doing their own laundry for many weeks, but to the best of my knowledge, none of the players at those clubs went on strike and let's remember, yesterday was only April 1st, so it is not as if it is weeks late, is it? "However, I accept that two wrongs don't make a right and everyone should be paid on time. "I have read that the players and management staff have said that being paid late does not actually motivate them to go out and perform on the pitch. "That is fully understandable, but perhaps they could also explain why the results up to Christmas were not exactly impressive either? "That all said, l have to apologise to all the non-playing staff for the delay in paying their salaries and whilst there are sufficient funds in the club bank accounts to pay them, it is not currently possible until after April 3 for legal reasons and l sincerely apologise to everyone unreservedly for this and would again request their continued patience during these difficult times. "Fortunately, they did not choose to go on strike and their loyalty to the club cannot be questioned, unlike the players' decision, which unfortunately has a negative rather than a positive logic behind it.